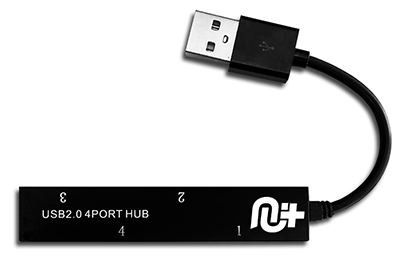 Firmware 1.20 added the ability to use most off-the-shelf USB 2.0 Hub with a CronusMAX PLUS (USB 3.0 Hubs are not recommended. 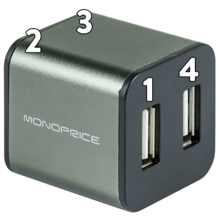 Where some may work, for the most part we find them to not be compatible and are much more expensive to buy anyway). 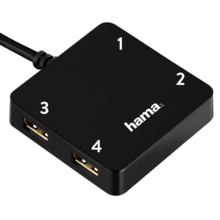 The USB Hub feature is a huge milestone for the CronusMAX PLUS and makes important features possible such as PS4 Full Time Crossover Support and PS4 Wheel Edition Mode. 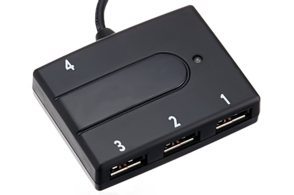 Some USB Hubs cause lag - in particular the ELECOM brand. 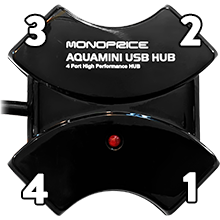 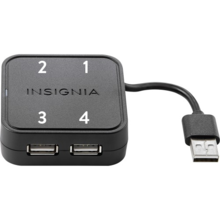 If you are having lag issues, be sure to use a USB Hub that is on this page - they've all been tested and are very cheap. 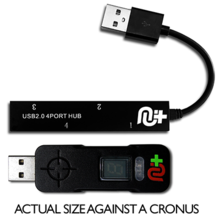 We have compiled a sample list of recommended hubs which have either been tested by ourselves or members of the CronusMAX community, and have noted the port numbers on the images below for your convenience (The port numbers are a guide from our own tests, however it's possible they may change between different production runs, so if you have any issues, check them for yourself using this guide). 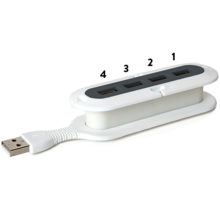 The most popular one we actually stock in our own store and is at the top of the list below - only $9.99!